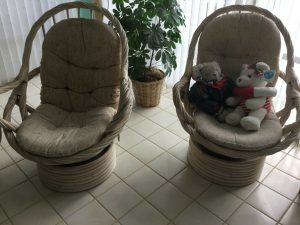 Fort Myers’ Best Estate Sale Company! Welcome to Prestige Estate Services! Serving Naples and Fort Myers area with the best Estate Sale Services! We are ready to help you with all your estate sale needs throughout the greater Naples, Fort Myers and all of southwest Florida areas! Prestige Estate Services specializes in Naples, Cape Coral, Sanibel, Punta Gorda, Marco Island and Fort Myers Estate Sales Services. Our expert team has extensive knowledge in sales, marketing, online commerce and inventory control, and includes appraisers and collectors with over 50+ combined years of expertise in estate sales and liquidation events. Thinking of hiring an estate sale company? Do your estate sale company homework. Listen to this real phone call where were walk a potential client through our process, fees timelines and answer all of the typical questions someone in your situation may have. Please visit our Services page to browse all the services we offer. No matter what the project is, we will be able to help you with your estate sale or appraisal needs. Any family who has lost a loved one and need the estate liquidated in an estate sale. Anyone dealing with a separation or divorce that wishes to liquidate joint belongings. Anyone faced with an estate in dispute, or in probate, and need the items valued, cataloged and/or sold. Any person or company needing to reduce their estate, needing to relocate, facing a foreclosure or simply wanting to sell their belongings or collectible items. Individuals relocating due to company assignment or for business purposes. Any other situation where you may need an inventory, valuation, or sale of your items. Rest assured, that when you hire Prestige Estate Services, you will get the best experts in the field to manage and liquidate your assets. Before you hire any company, please review their past sales and how their services are performed. There are plenty of estate sale hobbyist’s and part-timers in this industry. We often hear from customers who were disappointed with other service providers, because the provider didn’t have the experience and know-how to foresee certain problems and reach the right buyers. We encourage all of our clients to do their research and if you can, come see us in action at one of our sales! Our experienced staff includes appraisers and liquidators with over fifty years of combined experience in the appraisal and estate liquidation business. Our services cover all of your estate sale needs, from A to Z, including inventory appraisal & valuation, sales & marketing, etc. You will get a solid service with great results! Please give us a call and we will walk you through the process and explain in detail all you need to know to make you feel comfortable and confident. You will be completely satisfied with our team and your Florida estate sale! Our premier Naples and Fort Myers Estate Sales team is ready to help you! Live Customer Support: One call is all we need to help you! Do not hesitate; just dial (239) 449-0409. We are experienced, well organized and deliver what we promise, over and over! We have extensive references and testimonials we are happy to share. We have been serving our customers for many years and are hold top accreditation from the Better Business Bureau. Call us today to schedule your walk-through for your estate sale. Contact us today to discuss your specific estate sale needs!